The Philadelphia 76ers finally won a game on the road. Huzzah! That was a good win for a team that got their doors blown off in Brooklyn last Sunday. 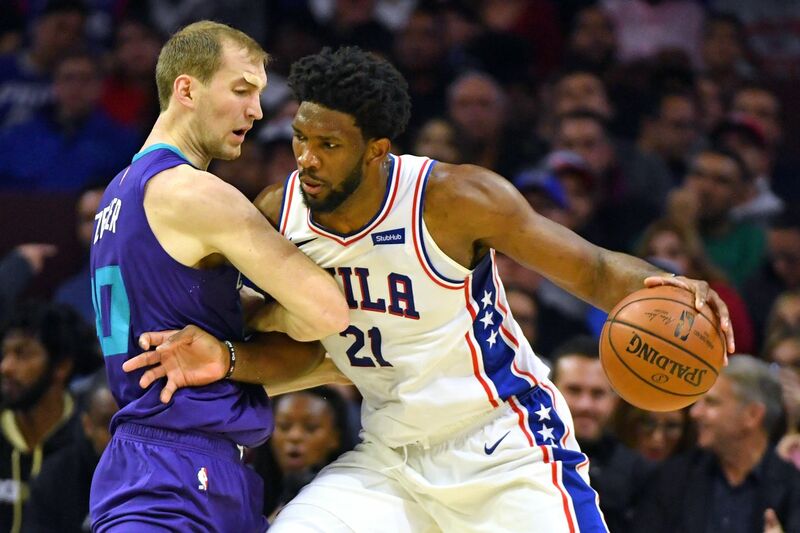 It’s back to work at home — where the Sixers haven’t lost, yet, by the way — as the Charlotte Hornets come into town. Charlotte has won two straight and three of their last four since their last meeting with the Sixers two weeks ago. Charlotte beat the Cleveland Cavaliers, 126-94, last Saturday and followed with a 113-102 win against the Atlanta Hawks. The Hornets are 6-5 in the James Borrego era, and there might be some … buzz … around the team. In that late October game, the Sixers won 105-103. All five starters scored in double figures led by Joel Embiid’s 27 points off 22 FGAs. There were 14 lead changes in that close game — the last of which was a Redick three with 2:03 left in the fourth quarter. After that, the Hornets got one field goal in the final two minutes (a Kemba Walker lay-up with 1:43 to go). Walker took 31 shots (11/31) — 15 of which were threes (3/15) — and finished with 37 points and six assists. Jeremy Lamb and Cody Zeller had 12 each, and rookie Miles Bridges had 14 off the bench. Let’s focus on Walker because he’s having a solid start with his new coach. He’s averaging 28.1 ppg, 5.9 apg, and 4.2 rpg. Walker is taking about 20 shots per game but has a TS% of .615. The Bronx-born guard has taken a lot of shots, but he’s making them. Against Atlanta on Tuesday, Walker took 22 shots, scored 29 points and had 7 assists. Slowing down Kemba is always the first focus for trying to beat Charlotte, and the Sixers were a bit lucky he had a bad shooting night two weeks ago. Speaking of bad shooting nights (or starts to seasons), Dario Šarić finally had a good game last night. The Homie had 18 points (4/6 from deep) and 7 rebounds. That’s huge. If Šarić has found his stroke, that could counter the absence of forward Mike Muscala who will miss time after breaking his nose after colliding with a teammate in practice. JJ Redick was 0-7 from three against Indiana and had to go to the locker room, but Landry Shamet continues to have good shooting nights. The 26th overall pick in this year’s draft had 12 points with three made three pointers. Shamet has gained Brett Brown’s trust, and he’s cashing in (and cashing out three pointers). He just needs a better nickname because according to Pro Basketball Reference, it’s “One a Day”. That’s not going to work for Sixers Twitter. It’s too many words. Two words is the limit. “The Process”. “The Homie”. That’s the sweet spot. The Wells Fargo Center has been the sweet spot thus far for the 76ers, so let’s keep the bees away from the honey and get another dub at home.